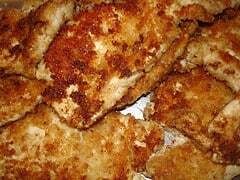 Home » Chicken Recipes » Savory Yogurt Chicken – looking for a new way to make chicken breasts? Savory Yogurt Chicken – looking for a new way to make chicken breasts? These well seasoned chicken breasts are easy to put together, and taste like you spent a lot of time on them. Best of all you can coat these in seasonings, and then bake up in the oven. 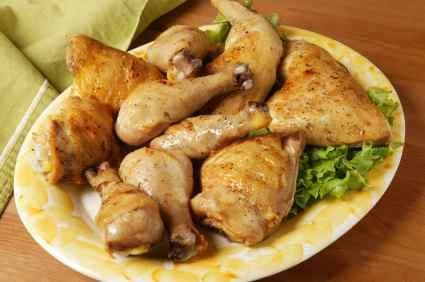 Thanks to Evi for sharing this chicken recipe. Savory Yogurt chicken is a great way to prepare chicken in a new way. In a Pie Plate stir together bread crumbs, Parmesan cheese , onion,garlic powder, seasoned salt,oregano, thyme and pepper. Rinse chicken and pat dry. Coat Chicken with yogurt, roll in crumb mixture. Place Chicken meaty side up in a lightly greased 15x10x1 inch baking Pan. Drizzle margarine atop. Sprinkle with sesame seeds. Bake uncovered in a 375° oven for 45 to 55 min. or until tender. delicious, incredible aroma, thanks for sharing….